Good things come in small packages, right? These Christmas earrings would be such a welcome gift for a friend or for yourself this holiday season. 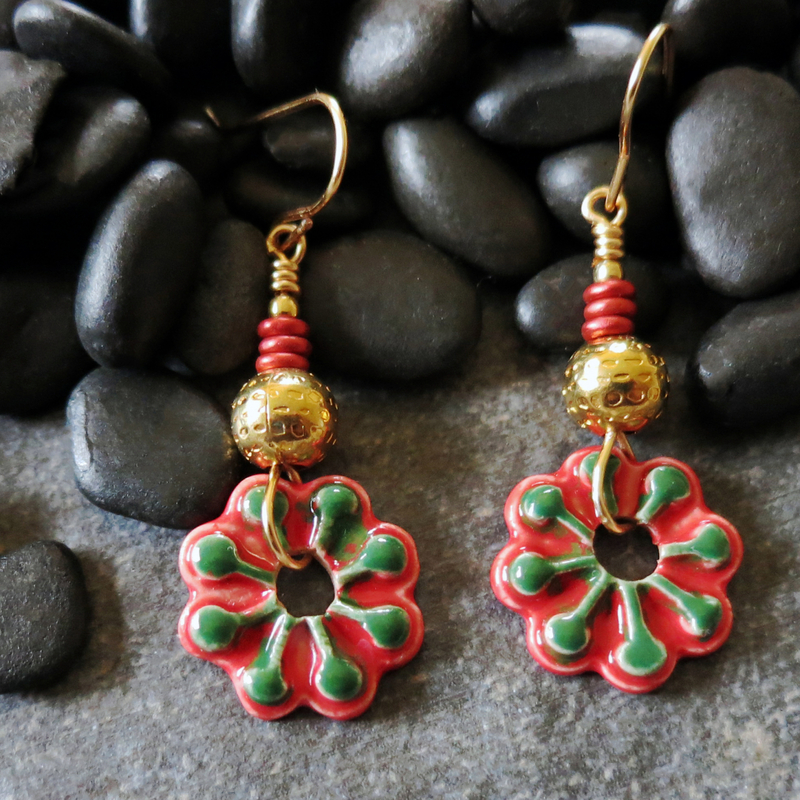 These cute earrings feature my own red and green ceramic "ferris wheel" rounds, gold plated beads and a cute little stack of three red glass beads to top it all off. The earrings are finsihed with handmade pure brass ear wires.